End of summer should mean sales, closeouts, parties, garden fresh food, start of school and such. In our house, it means hurry up and get all those things done that you meant to do in June. I don’t procrastinate. I learned early that doing the yucky stuff first gets it out of the way and the beloved husband believes that too. So maybe you can explain this yearly phenomenon of planning the “summer projects” early but doing them late. Summer is best for projects because the light is better and the day longer. We don’t have to worry about cold air coming in when the door is opened and we can open the windows to help dry things. In this area it’s the only time for outdoor projects. Last year we redid our living room fireplace wall. It was a dirty job that involved tearing out walls. It took several weeks. Somehow it took longer than we thought and we worked hard to get it done before the fall. The year before it was the garage floor — right up against the frost dates. Do you think we learned from that? This year we had two projects – refinishing the kitchen floor along with the butcher block island top and covering the front porch stoop with brick. Neither one is a big project but both involve moving stuff and upsetting our rather lackadaisical schedule. The kitchen project is especially annoying as I have to keep the cats and humans off the floor. I don’t know which species is harder to manage. The goal is to finish both before it’s too cold or windy or rainy or whatever or we run out of steam. Somehow the scheduling ended up back-to-back. Lord knows I am too old to do two projects back-to-back! I need unwinding and rewinding. Maybe with a vacation in between. Here is a list of our excuses. They are honest, valid excuses. Feel free to use them. I had to blog about the new kitty numerous times. I spent a week medicating all the kitties. More blogs. June was too rainy. You don’t want to finish floors when it’s rainy and humid. There was a detour locally and I had to whine about that ad nauseum! More blogs. July was too hot. You need to keep doors and windows open so it can’t be too hot. August came too fast. It was just May! We weren’t prepared. I had to blog about house guests. 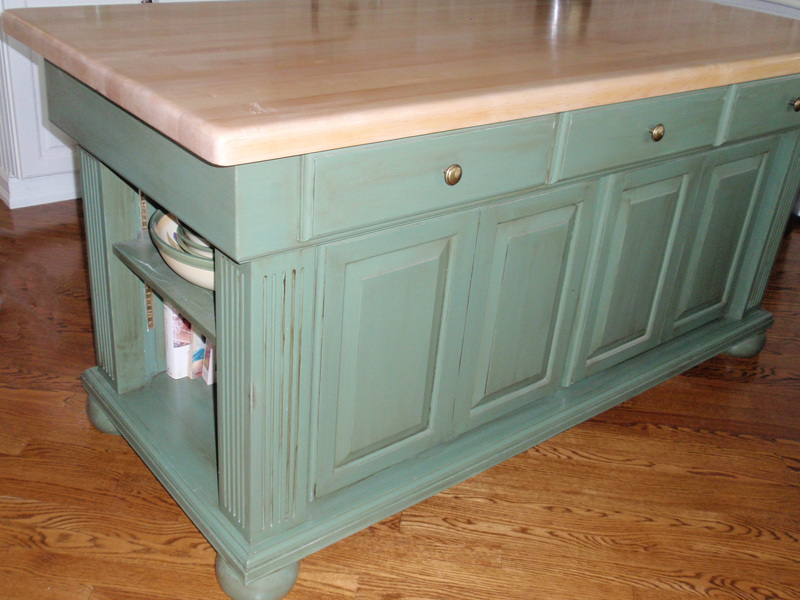 Here is the kitchen island with the top refinished and you can see the floor is clean and shiny too. Amazingly after I wrote the post about the guests, the planning was done within two days. Supplies were purchased and we were on our way. One project is done and the other is waiting for a material shipment. Maybe we work better up against a deadline — even if it’s a self-imposed deadline. Or maybe blogging gets in the way…no, can’t be that. Now about that cushion project from last summer that never did get done. Perhaps I can fit that in during September. This entry was posted in Humor, Life at Home and tagged Blog, front porch projects, home projects, kitchen floor projects, Procrastination, summertime, Time management by Kate Crimmins. Bookmark the permalink. I love your island and floors. I’d say procrastination is the ticket. That’s the excuse I used to give myself in school for waiting to the last minute to do everything. Having said that, Kate, I might borrow a few of your excuses. Blogging gets in the way? Really? I must say your completed island and floors are beautiful in spite of all the distractions. I think you’ve discovered the secret! if you determine that everything you do, or complete, is potential blogging material, the incentive to finish is much higher! Those excuses sound legit to me. Glad you accomplished both projects, they look beautiful Kate. Yes I worked hard on those excuses. Your completed project looks GREAT! It’s all in the timing . 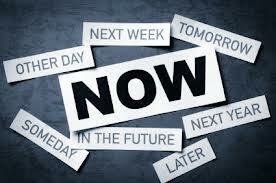 . . when we feel we have all the time in the world, things tend to get shoved onto the back burner. For what it’s worth . . . your excuses are GRAND. Thanks! I tend to be good at excuses. You seem to be doing quite well with your projects compared to me. I have a ceiling project we have been putting off for two years and we are going to hire someone to do it! I always seem to have a reason not to have it done “right now.” I have used “the holidays are coming up” twice as excuse. Oh, well, maybe after the first of the year. Your kitchen floor and counter top look great! Maybe you have inspired me after all. I think as you get older you just don’t want the dirt and inconvenience! what a pretty and shiny floor, and the counter top looks nice, too … very nicely done! For me (in south Texas), the end of August or beginning of September signals the possibility that maybe, just maybe, if I keep watching the calendar creep forward, the 100 degree weather will (maybe) come to an end … finally. Every year I say I can’t take another Texas summer, and wouldn’t you know, every year it ends up showing up anyway in all it’s blazing glory. As the calendar hits September, I see the remote possibility surface that I will quit melting away, and that I might actually have the chance to, (dare I say it out loud? ), open a window, or (is it possible?) get the warm blankets out of storage and freshen them up … just in case that ONE day comes along where it gets below 60 degrees. I’ve lived through northern winters, too, so I know the cold is no picnic, but these Texas summers are horrid. Absolutely horrid. Just as I didn’t want to do a project during our July, I probably wouldn’t be productive during your summer either. Hang on, it can’t be too much longer! Lowering expectations so you don’t disappoint yourself works for me. However, the floor was looking pretty shabby at the sliding glass doors. Must be from all the cat butts sitting there and looking out. They wore the finish right off! I can’t complain it’s been 10 years since they were done.